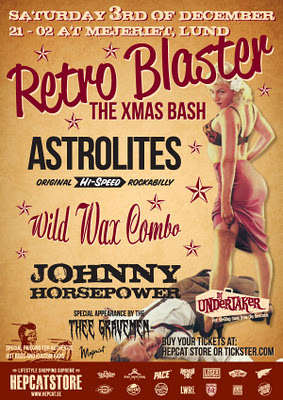 This year’s Christmas Bash 2011 is the answer to the prayers of all you rockers, rockabilly’s, hillbillies, swing cats, surfers, hot rodders and whatever! Scandinavia’s one and only Johnny Cash cover band, a trio that plays Johnny Cash tracks from the mid 50’s throughout the 60’s. Johnny Horsepower (Cash cover) is an authentic Country/ Rockabilly trio with Denis Joplin as the lead singer and front figure. Johnny Horsepower interprets Johnny Cash in their own delicate and original fashion. Beside Denis, the trio consists of Tim Kristensen on upright bas (Known from Pranksters, Nekromantix, Godless Wicked Creeps among others) and André on lead guitar. Johnny Horsepower’s performance – the looks and sound – are a tribute to Mr. Cash and The Tennessee Two (from the early 50’s and forward). 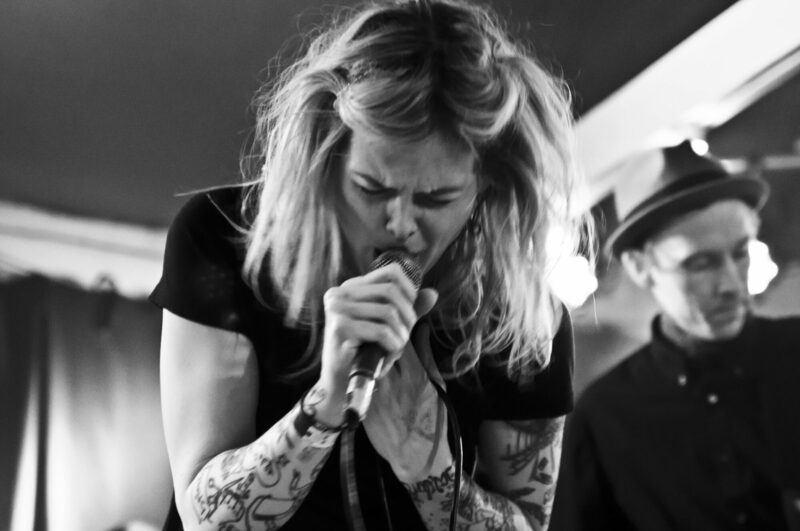 Last but not least is this 3 piece band from Copenhagen with their wild and raw 50’s Rockabilly with a modern twist! Primitive, Wild, Raw, and a lot of fun is the best way to describe this two man horror-trash-band from Mamlö, Sweden. These two English guys aint interested in pop fame or hit records, they live in a world of gravestones, monsters, werewolves and haunted houses. Sitting alone in the dark watching vintage hammer horror films and waiting for grave digging jobs. Sir Lee Tea plays the guitar and wails, while Devilish Daz pounds the stripped down drum set. Sounds crazy but its true!